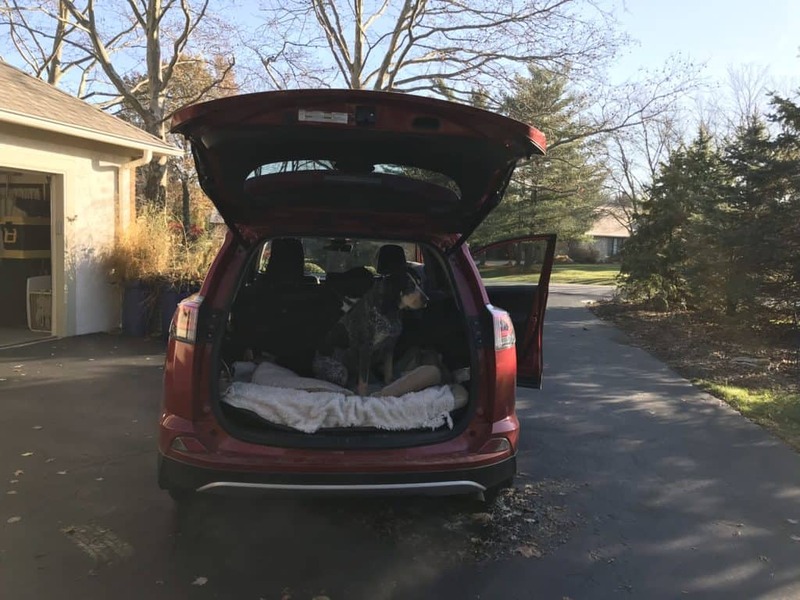 Traveling by car is generally much easier on your dog than flying, so it’s a good way to get where you need to go and include your dog in the fun. Prepare in advance of your trip by taking your dog on several short excursions to fun locations. Your dog is adjusting to a new pattern in their life and will be stressed out their first time out. 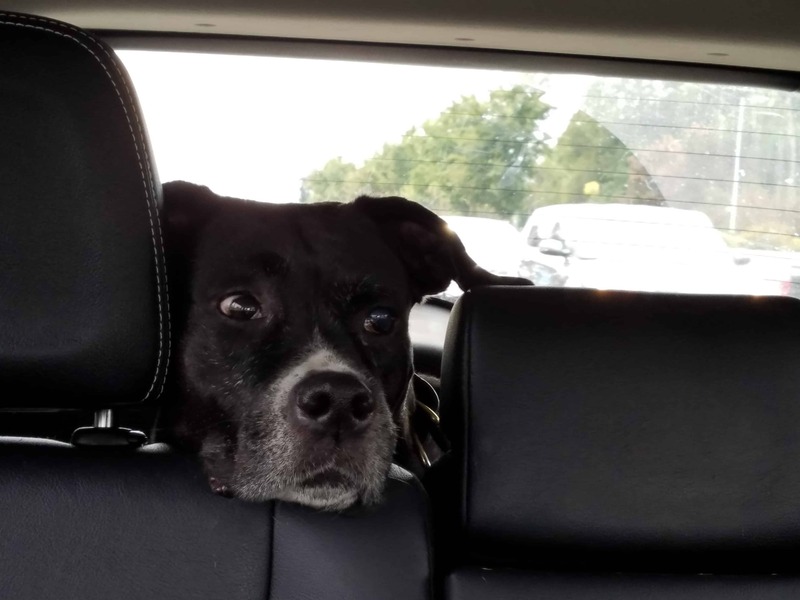 As the number of trips increased, your dog will come to know what to expect and relax a bit. As long as your dog’s temperament isn’t out of the ordinary, they will come to know what to expect and relax a bit. Remember the “first aid kit”! See our blog article, “First Aid Kits and Emergency Treatments – Prepare Now!” for a list of items to include in your kit. Also consider loading an app that offers info on the emergency hospital closest to wherever you might be. (There are quite a few apps that can do this for you.) Make sure to include vaccination records (many of the dog-friendly hotels require these). Be sure to bring any medications they need and some anti-nausea pills as well. Dogs like patterns and feeling comfortable. Provide the items that help make this happen. Bring along a supply of their regular food and maybe even some bottled water. Pack their bed and favorite toys and treats. 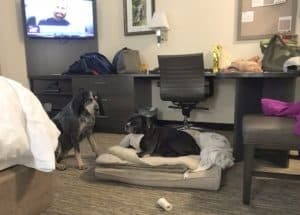 Some hotels will only allow you to leave your hotel room if your dog is crated. If you plan to do this, don’t forget the crate. Dogs get bored so keeping them busy during travel can make or break your trip. Having their favorite toys and chew treats will make the trip more enjoyable for both of you. Just remember to reduce their food intake so they don’t consume too many extra calories. Stop frequently for exercise and potty breaks. It goes without saying to clean up after your dog. Just in case your dog gets away from you on your trip, increase the chances of recovery by making sure your dog has a sturdy leash and collar as well as being microchipped. Include identification tags with your dog’s name and your mobile phone number, as well as a rabies tag. Consider bringing along a recent photo of your dog for identification purposes. Find out in advance which hotels or motels at your destination or on your route allow dogs. Many do not, or have size or breed restrictions. So require a deposit and others just a fee. There are several websites that can assist you in the process. 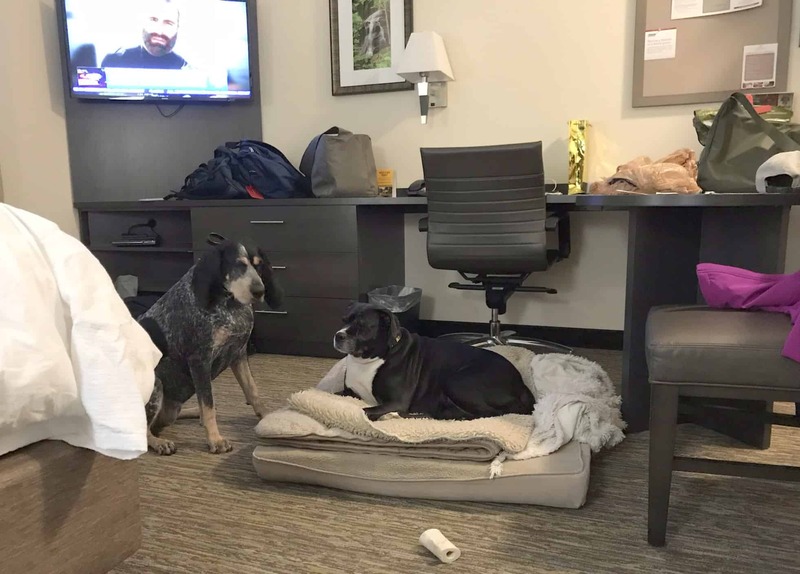 Know that if your dog is allowed to stay at a hotel, they are representing the right of dogs staying at the hotel. Be considerate of others, keep your dog quiet during your stay, and leave your room and the grounds in good condition. 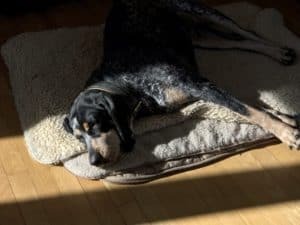 With a little investigation work and prep, your dog will be joining in the fun you’re having on your trips and you’ll be enjoying the opportunity to share memories with them. 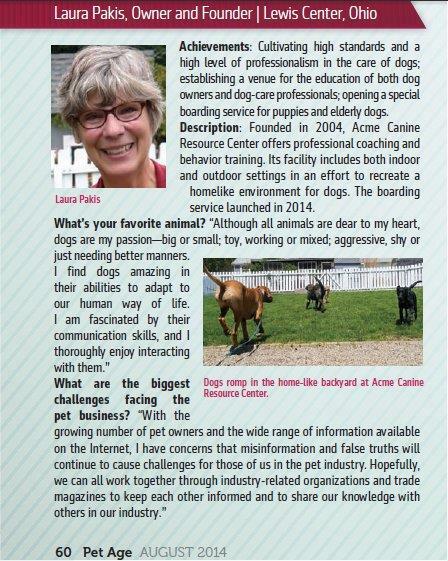 Want to learn more about canine behavior and training? Subscribe to Acme Canine’s Patreon page. 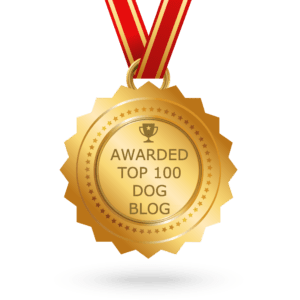 This entry was posted in Travel with Dogs. Bookmark the permalink.